The company’s tasty yet healthy subs and its franchise based business model have helped Subway fuel its growth. The story of the Subway brand started more than 50 years ago when Dr. Peter Buck, a nuclear physicist, changed the life of a college student with a few simple words, “Let’s open a submarine sandwich shop.” It was Peter Buck that gave college freshman Fred DeLuca the idea to open a submarine sandwich shop to help pay his tuition. Peter provided an initial investment of $1000, and a business relationship was forged that would change the landscape of the fast food industry and the lives of thousands. The first restaurant was opened in Bridgeport, Connecticut in August, 1965 by Fred DeLuca and Dr Peter Buck. Subway is one of the world’s largest sandwich chains. The company’s tasty yet healthy subs and its franchise based business model have helped fuel its growth. 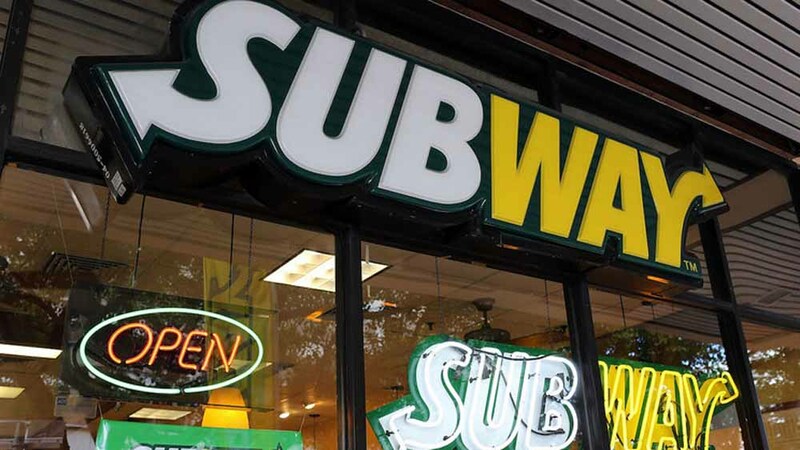 Subway’s key USPs consist of strong marketing, supply chain management, a value driven business operation and complete back-end support to entrepreneurs. By 1974, the founders owned and operated 16 submarine sandwich shops throughout Connecticut. Realizing they would not reach their 32 store goal in time, they began franchising in the interest of faster growth. Today, all Subway restaurants are completely owned by local franchises. There are no company-owned restaurants. Globally, franchising has been recognized as a catalyst of growth and entrepreneurship. “We would like to build on the strength of our existing franchise network while encouraging dynamic new entrepreneurs to join hands with Subway. The existing entrepreneurs would be encouraged to become multi-unit owners to build a cluster network design for easier co-ordination and smooth scale-up”, added Talwar. Break up of company-owned + franchise stores: 100 per cent franchisee owned. There are no company-owned restaurants. Investment required: Additional restaurant requires an estimated Rs 55 lakh to Rs 1 crore depending on the size and location. For more details see attached PDF file. Area required (in sq ft): A traditional standalone restaurant requires 600 to 1200 Sq Ft carpet area whereas a restaurant in a Food Court requires 350 to 500 Sq ft carpet area. Expected break-even: Again, dependent on multiple variables. Time Saving top preference for RTE Foods..
5 Benefits of a Vegan Lifestyle..
Digital Transformation in Education Biz.. Reap Benefits Of a Gifting Brand.. Innovative Ideas in the Education System.. Importance of Early Child Education in India..
Marco Aldany India to Open 100 Stores by 2022.. Franchising in A Chocolatey Way..
Benefits of Sound Therapy in Business..
​Augmentation of Spa Industry in India..
5 Steps to Open Fast Food Restaurant..
How To Avoid Franchise Fraud..
Nepal Could be Next Education Franchise Hub..
Best Business Ideas To Start in Kolkata..
Ayurvedic Spa Makes It Way Into Hotels..